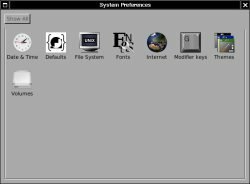 One of the reasons why GNUstep got started was the longing for the ease of programming and the ease of use which we feel is not available under other operating systems. However to take GNUstep out of the realm of programmers and make it more accessible to average users; there is a definite need to provide more standard applications. Feel free to add your app to these lists. GNUstep also has a decent set of example applications available. GWorkspace is the official GNUstep workspace manager. It is a clone of NeXT's workspace manager and already ready for daily usage. 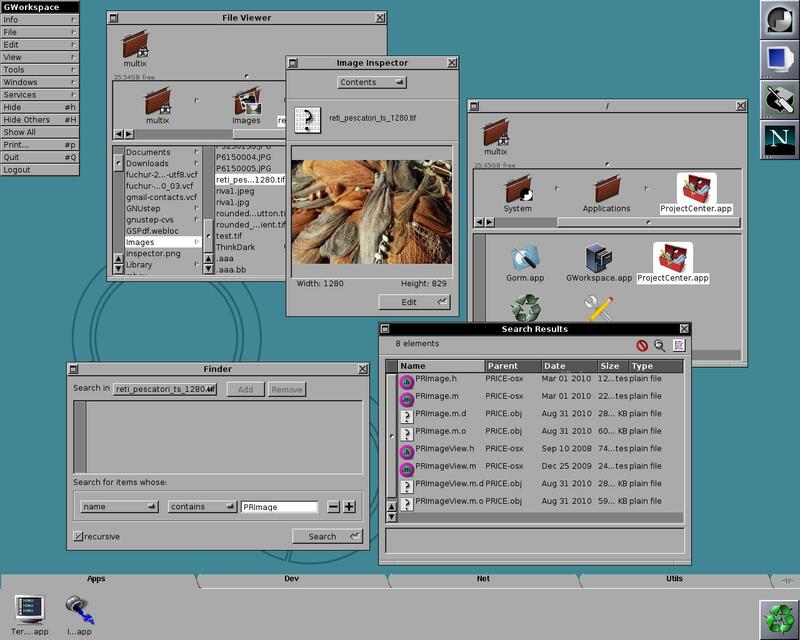 GWorkspace is probably one of the most useful and usable workspace managers available on any platform, owing to its well-designed interface and the natural, consistent design that it inherits from the GNUstep framework. Please see GWorkspace or the GWorkspace User Guide for more information. 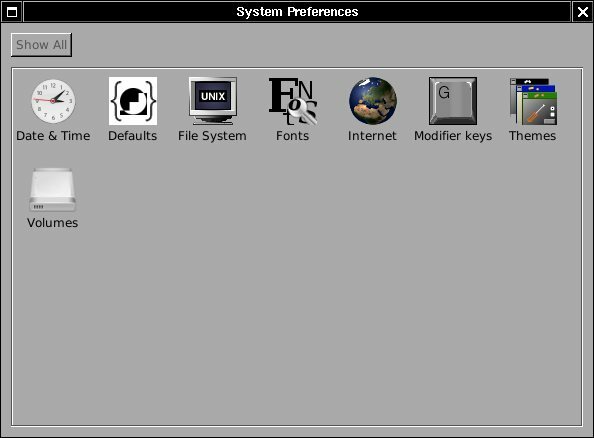 SystemPreferences is the official preferences application for GNUstep. Please also visit our Design Gallery where you can get the first impression of the icons which will be used in the final applications. Also look at the GNUstep Icons project.